Help Please, I have a 6 yr old Female Shepherd, we rescued her 4yrs ago she was a stray off the streets in very bad shape. Ears chewed up and bleeding, under weight, under 40lbs, had mange and hookworms. We took her in and got her healthy. I at the time had a 12 yr old Female Pom. A month later I adopted another female pom aprox 3 yrs old. No problems, my Shepherd and the 3yr old got along fine and played well together, Shepherd would even let pom clean her teeth after eating. This past Oct we had to put down my oldest Pom who was now 16 yrs 3 months. I very sad day for us all. Now it seems my Shepherd doesn't like my other pom, she has gone after her 3 times, once when i was giving treats and hers fell to the ground the other pom went after it, and my Shepherd got her by the neck, I freaked out and it took a minute to get her to release the pom. There were no puncture marks just got her fur. This most recent time a friend was trying to let pom out back door and was trying to get shepherd back away from door while pom was standing there and shepherd went after pom again! Once again took a minute before she would release the pom!!! 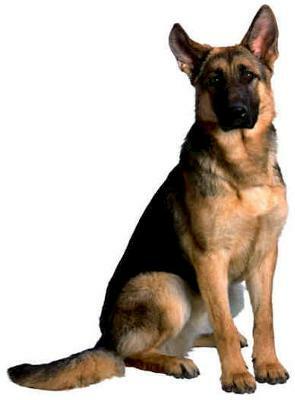 My shepherd and I have gone through basic obedience, she is very protective but very sweet. When she went after Pom, there was no warning, no growling, no barking, no raised hackles she just grabbed her by the neck but didn't shake her, but it scared the $#%@ out of me and the Pom, this time she did break the skin! Didn't require Vet visit. What can I do? Or what have I done wrong? I do have joint custody of other dogs, another female pom, a male min pin, a male chihuahua. All younger than the shepherd, and she no problems with them. I now make sure when we feed the pack, the shepherd is fed separately in her closed crate. After first incident I try not to let shepherd alone with pom. Help, has anyone had any problems like this? I'm considering going back to obedience class. I have call in to my trainer but haven't heard back from her yet. I do not use choke collar or prong collor on her, my trainer only uses positive reinforcement training and that always worked for my shepherd. I also have call into my Vet but she is out of office until next week. I do not hit my shepherd, I will grab by the collar to get her attention. I'm concerned if I can trust her with my other small dogs, once again she hasn't gone after them. Any suggestions or answers would be greatly appreciated. I am willing to try anything to prevent this from happening again. Thanks in advance and who knows what the dogs are "thinking" that we might just miss all together. Wow. What a terrible experience for you and your pack. It sounds as though the pack somehow got reconfigured when your older Pom died causing problems in how the GSD perceives the other Pom - but its really hard to say when I can't see their interaction in person. But I would have your GSD checked by the vet to discount any potential health problems that the dog may have causing the change in behavior. Next, if that comes back clean I would get her in another training class and discuss these issues with your trainer. Last but not least, I would just keep the Pom and the GSD separated for the time being anyway until you get the issue ironed out - and if you don't trust them together just trust your gut. Better to keep them separated (the Pom is easy enough to carry around if needed) than to have them get in another scuffle and the Pom get badly hurt or worse. Good luck!